Recently, well-known Australian children’s authors and publishers, Susannah McFarlane and Louise Park, announced the launch of Stories Inc., a unique new consultancy service for children’s book publishers, helping them to create new fiction series. Intrigued by the concept, I got in touch with Susannah and Louise, and asked them a few questions. First of all, Susannah and Louise, congratulations on the launch of Stories Inc – such a bold and innovative venture! Can you tell us about the concept, and how you came up with it? Thank you! 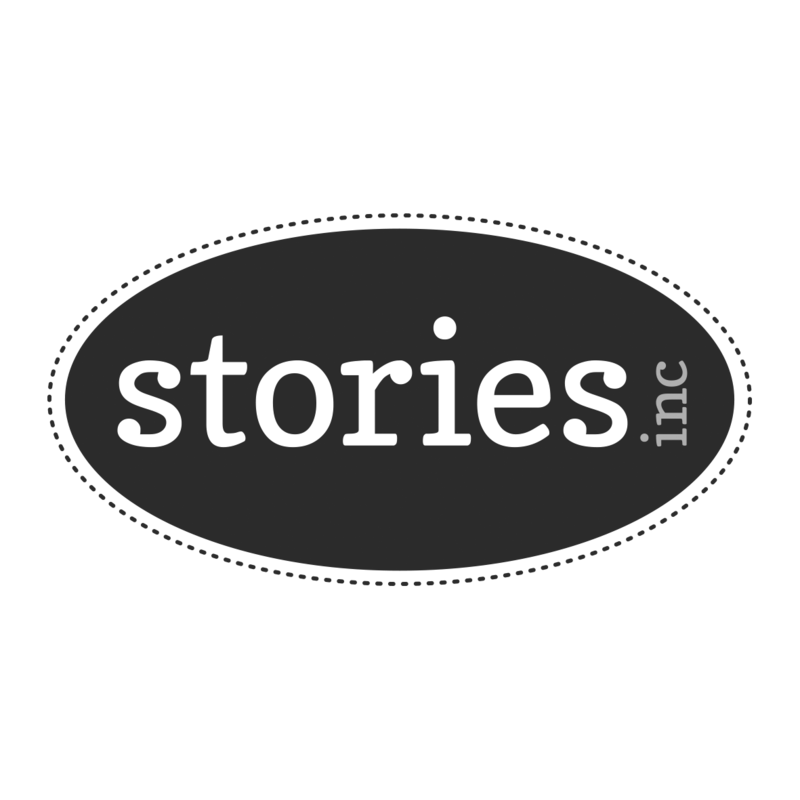 Stories Inc has been created to cater to what we see as an opportunity and a demand to work with publishers in a more flexible, creative way to produce great book series for kids developed especially to sit within the publisher’s list. Stories Inc isn’t just a packaging service that a publisher can buy into: we offer a strategic and creative partnership to publishers that allows them to leverage our quite different but complementary skills to make a series for them. Louise brings years of senior educational and editorial experience and Susannah the same in trade publishing and marketing. It means we can help them make books that kids can and want to read. We each have our own companies, (Susannah, Lemonfizz Media and Louise, Paddlepop Press) and through these we have independently worked with most of Australia’s major publishers – and each other! Five years ago we formed Pop & Fizz to create the Boy vs Beast series with Scholastic, a series that has now sold nearly half a million copies. We developed the concept, co-wrote the series and worked with independent illustrators and designers to deliver print-ready files. Working closely with the wonderful team at Scholastic was critical: not just to leverage their own and considerable in-house expertise, but also to ensure the series worked for them and their list needs. It was a very successful and fun project – and now we want to do more like it! What has it been like bringing Stories Inc from idea to reality? What were the challenges and discoveries? Stories Inc is really a natural progression, a development of what we are already doing. It spins off the reputation and success of body of work that we each have generated over the combined 50 years of our industry experience and achievements. A lot of the hard structural work was done when we established Pop & Fizz and the decisions and business structure that we already have in place will continue for Stories Inc. While we will continue to work independently as well, it’s incredibly exciting to be developing a partnership that has been both fun and successful. What do you offer publishers with Stories Inc? We offer them a suite of services that they can choose from. They may just want an external audit of their list, pure consultancy with recommendations, or they may want us to then work with them to develop those recommendations. And with that, we can deliver anything from a fleshed-out concept that they then develop internally to the print-ready files for a whole series with marketing plan. The collaboration can be as small or large as the publisher wants or the opportunity suggests. What about authors? Will you be working with other authors, as creators of individual books in series? Yes, absolutely, and illustrators and designers. We are continuing to conceptualise series and package to print ready files but we now looking to commission authors to write within these concepts, rather than writing everything ourselves. This will allow us to offer a diversity of voice and meet the increasing demand. It’s probably worth pointing out however that we can’t accept unsolicited manuscripts: our model is not about trying to fit existing stories and concepts into lists but develop them specifically for those lists. What kinds of series are you aiming to create? You have both had very successful careers as authors of series. Can you tell us something about your backgrounds and how you came to be writing series yourselves? In my last year at Scholastic Australia I was both Publisher and General Manager, heading up the Education division. At that time I had conceptualized, written and ghost written hundreds titles for extensive reading programs such as Reading Discovery, Reconciliation, Bookshelf and more, along with many Trade titles. But it was mostly my extensive work with reluctant readers and indigenous children that had sparked a long love affair with writing for this group as well as the general primary school-aged reader. So, when I left in 2005 I decided to start my own company offering conceptualizing, writing and packaging services that catered for the primary school child. When Susannah and I joined forces in 2010, the working partnership added a new dimension to conceptualisng and packaging. The era of the truly hilarious 3-hour Skype planning and scoping meetings, and the wonderfully lengthy working lunches had begun. It was evident fairly early on that the way we worked together and what we produced was a successful recipe worth continuing. 10 years later, series created by me or co-created by Susannah and I include Zac Power Test Drives—a massively successful global-best-seller, Boy vs Beast— a series that sold over 250,000 titles in its first 6 months of selling in its home territory, Star Girl—a series currently being adapted for television, SmartyCat, Bella Dancerella and Harriet Clare. At Hardie Grant Egmont when I was conceiving the world of Zac Power, I realized how much fun it was on ‘the other side of the fence’. After I sold my share in the company, I had some time away from publishing. I started writing a story for my daughter, Emma, then 9. I wanted to write her a story that might show her that she, girls, could do anything they wanted so I hijacked the boy spy genre and created Emma Jacks, EJ12 Girl Hero and it kind of went on from there. I think being a publisher you are perhaps better able to trouble-shoot some of the issues in your own writing – but I would never fly solo without an independent editor! Equally as a writer yourself, I think it makes it easier to work with other writers: it’s not surprising that an increasing number of people are wearing two hats! You have also worked as publishers, and in the educational sector. What insights do you think you bring from those experiences? And what’s your view of the children’s book publishing industry in Australia currently? 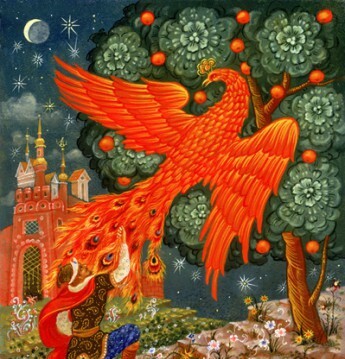 Our partnership rests on a unique blend of Trade and Education publishing experience. This allows us to create high-end trade series’ that we know our target audience want to read and can read. Our years of experience driving publishing lists also means we are old hands at reading the market, finding gaps and understanding what will fill those gaps. And it’s fun to work with different people – very hard to call it work really! We think the Australian children’s book industry is very buoyant with lots of committed professionals all looking for new ways to bring great stories to kids. Yes, the printed word story –in all formats – has some intense competition from other entertainment options but we think we are meeting that challenge with real energy and innovation, just as we need to. Part of that is looking at different ways to work and harness the talents of people outside a company. Publishers have always been good at that with authors, illustrators and designers and Stories Inc now extends the resources they can draw on. Series conceived and published by Susannah McFarlane have now sold over 3 million copies in Australia alone. EJ12 Girl Hero, Go Girl!, Zac Power and Boy vs Beast have provided Australian kids with scores of books they love and their parents trust. 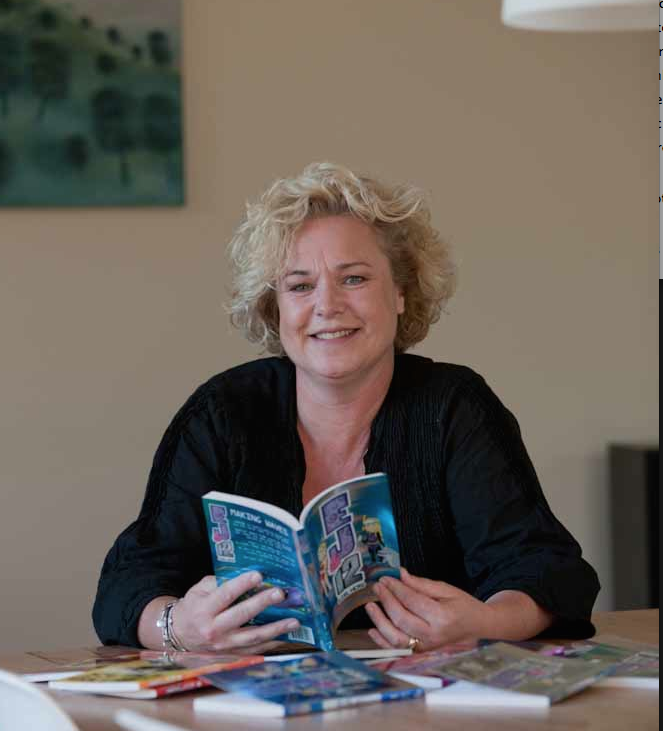 A leading figure in Australian children’s publishing, Susannah works on both sides of the publishing fence combining over twenty years of senior publishing experience in both Australia and the UK with her ‘other job’ as a bestselling author with combined sales in excess of half a million copies. Susannah held a number of editorial and marketing positions before becoming the Marketing Director of Reed for Kids in Melbourne in 1994. She then moved to London in 1996 to become Licensing Director of Reed Children’s Books working and subsequently Publishing Director and then Managing Director of Egmont Books UK and vice-president of the Egmont Group. Susannah returned home to Australia in 2002, when her children confused Hyde Park with nature, and co-founded Hardie Grant Egmont where was she was co‐owner, managing director and publisher until 2008. In 2009 she founded Lemonfizz Media, a boutique children’s publisher that focuses on developing a small number of projects with major publishing and media partners. Susannah was also a member of the Children’s Publishing Committee of the Australian Publishers’ Association from 2005-2008 and Convenor of the CPC and Board Director of the Australian Publishers’ Association 2010-2012. A former contributor to the UK trade journal Publishing News, Susannah also talked annually on children’s publishing to the RMIT Editing and Publishing course in Melbourne from 2007- 2012. She lives in Melbourne with her husband and two children: her son Edvard (whose lack of reading inspired the Zac Power series) and her daughter Emma (who inspired the EJ12 Girl Hero series). Her husband is relieved that she has no plans for a series for or about him …. Louise has been involved in education and publishing for over 25 years. Today, she continues to combine her knowledge of literacy and reading acquisition with children’s publishing whilst running her own publishing company. Louise began in schools as a primary school classroom teacher and then moved into teaching literacy and English to new arrival students in primary schools across Sydney, NSW. Louise began training primary teachers in literacy teaching in the late 80s when she became a literacy advisor to schools and she continued in this role for 6 years. She has spent more than two decades running training courses, seminars and lectures for teachers in the teaching of guided reading, guided writing and literacy acquisition. As part of her role as seminar presenter and advisor Louise has written numerous training modules, literacy guides and early literacy acquisition programs that are still implemented in primary schools today. 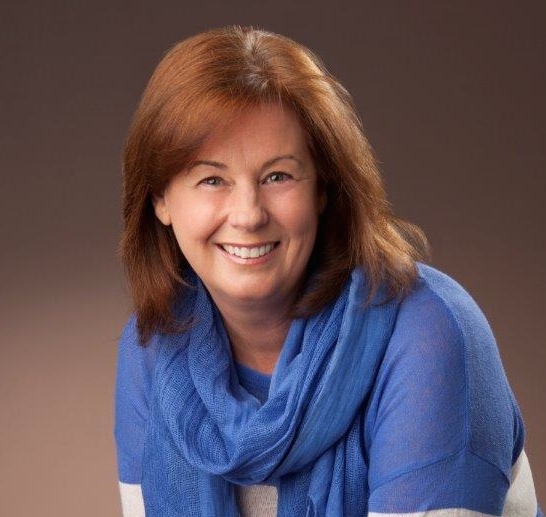 In the early 90s she combined her love of literacy with a publishing career and has since moved through a wide variety of publishing roles within the industry including author, editorial, production, project management and Publisher. In these roles she has been heavily involved in the creation of a large number of popular primary school and trade reading programs, Trade titles and multi-media resources. She has scoped and created and collaborated on some of the biggest reading programs sold worldwide today including Bookshelf and Reading Discovery. Louise’s last position inside a large publishing house was as general manager and publisher at Scholastic Australia. She left Scholastic to start her own publishing company, Paddlepop Press, in 2005 where she continues to write, package, produce and create children’s books and resources for several prominent publishers including Scholastic, Pan Macmillan, Macmillan Education, ABC books, HarperCollins, Hinkler Books, Lemonfizz Media and more. Louise continues to deliver seminars to librarians, teachers and parents on literacy and reading. Louise’s work with reluctant readers sparked a long love affair with writing for this group as well as the general reader. Her series successes include Zac Power Test Drives—a massively successful global-best-seller, Boy vs Beast— a series that sold over 250,000 titles in its first 6 months of selling in its home territory, Star Girl—a series currently being adapted for television, SmartyCat, Bella Dancerella and her latest series, Harriet Clare. In 2013 Louise had a title make it onto the prestigious list: 10 best selling books of all time in Australia (adults, children’s, fiction and nonfiction) with the Sydney Morning Herald reporting it at no.9. She also held 8 of the top 10 slots on the children’s charts for almost two months during February and March 2013.